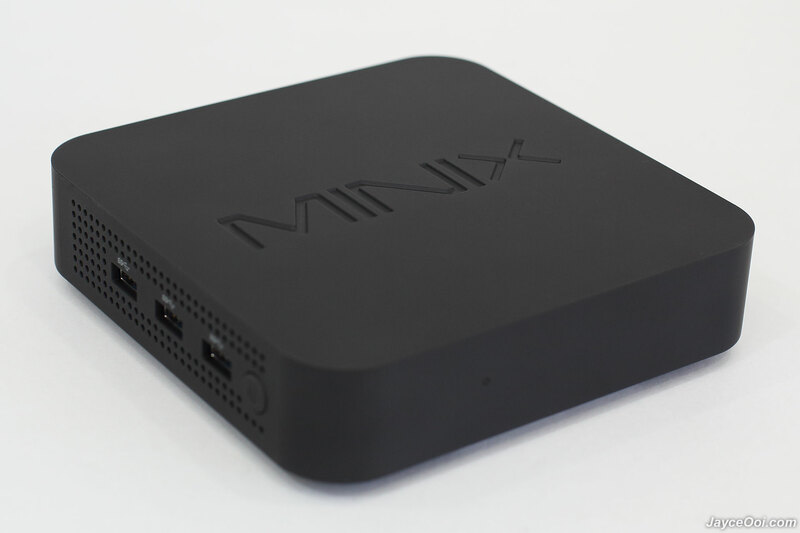 MINIX NEO N42C-4 comes well protected just like other MINIX products. 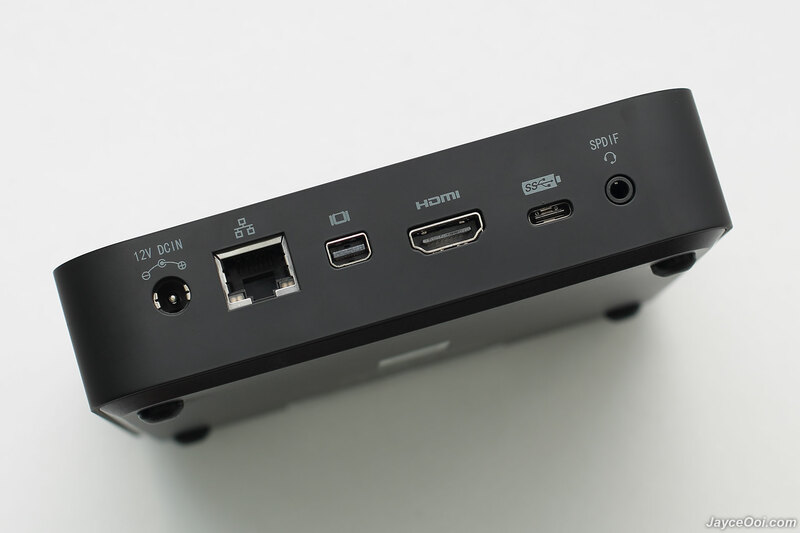 NEO N42C-4 is a much more powerful mini PC compare to its brother MINIX NEO Z83-4 Pro. 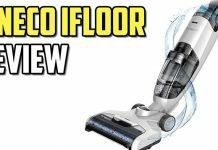 And has much more features but does not comes with external antenna. 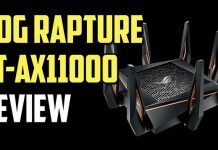 Hopefully, the wireless performance won’t get hit due to that. Anyway, here are the package contents – 3A power adaptor with changeable plug (US, UK & EU), HDMI cable, product brochure, multi-language user guide, 4 round anti-skid pads, several screws and S/PDIF digital optical audio adapter. 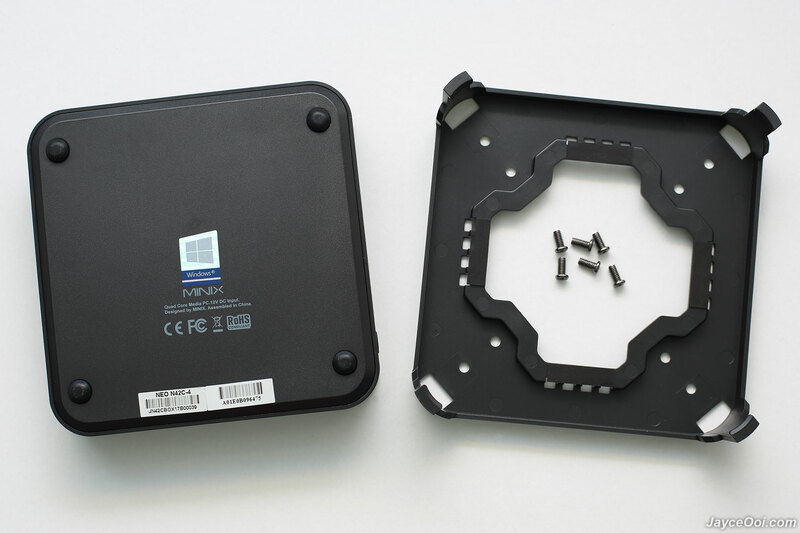 MINIX NEO N42C-4 build quality is excellent all thanks to sturdy plastic housing. Ultra compact in size. Not a fanless mini PC this round so there are lot of multiple holes on both left and right for air to flow. As for design, there is a blue LED status light indicator in front. 3 USB 3.0 ports and power button on the left. And Kensington lock on the right. At back, there are microphone & headphone jack (combined) with S/PDIF support, Mini DisplayPort, HDMI, RJ-45 Gigabit Ethernet, USB-C and DC input. Finally, 4 round anti-skid pads at bottom. As usual, do refer to below photos for details. 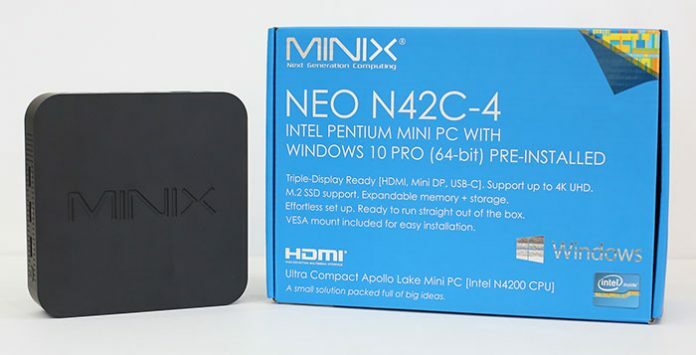 Intel Pentium Processor N4200 (Apollo Lake) is the one that power MINIX NEO N42C-4. Low power consumption at 6W TDP only. Below Hardware Info (HWiNFO) screenshot should give more details about this mini PC. 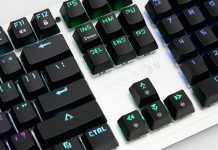 By the way, it is using Intel HD Graphics 505 GPU. 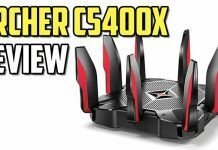 Supports 802.11ac dual band Wi-Fi (2.4GHz/5.0GHz), Bluetooth 4.1 and Gigabit Ethernet. Yup, it is loaded with 4GB DDR3L RAM and 32GB eMMC 5.1 as storage. Expandable as you can see. Just remove the base panel. Then install new 2280 M.2 SSD and memory module (maximum size – 2 x 8GB supported) will do. Yes, original Microsoft Windows 10 Pro 64bit is pre-installed. You will be greet by Cortana, the personal assistant for Windows 10 to get Windows setup for the very first time. Then getting Creators Update version 1709 update later during initial setup. However, I failed to get it updated during that. Finally, managed to install it during normal Windows Update process. 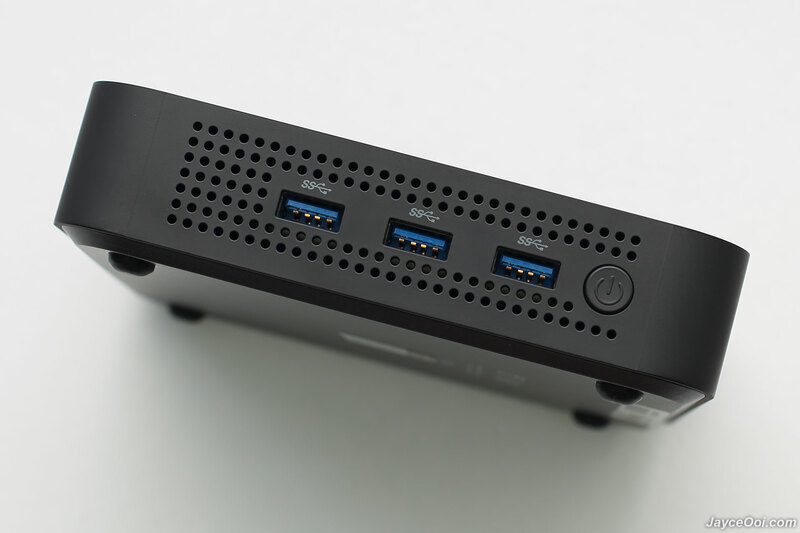 NEO N42C-4 with Windows 10 Pro is great for business as thin client solution. Lot of advantages compare to normal Home edition. 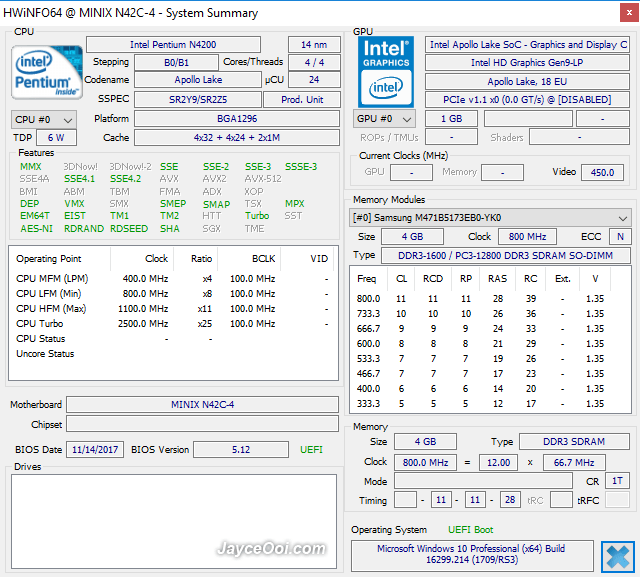 How does Intel Pentium Processor N4200 with HD Graphics 505 perform? Below synthetic benchmarks will tell you the story. 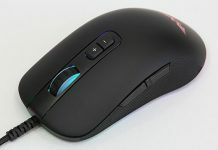 In short, it is much better than NEO Z83-4 Pro with Intel Atom X5-Z8350. 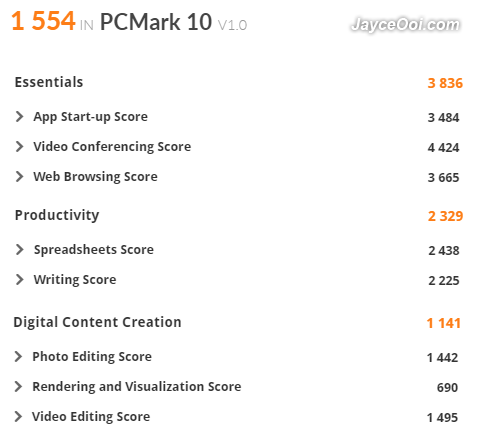 Yes, it is getting 1554 scores PCMark 10. Perform better in every test thanks to more powerful CPU. How about 3D performance? 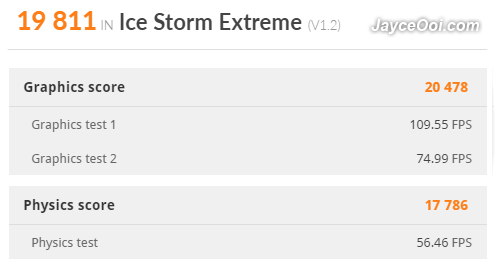 3DMark results are better in both Cloud Gate and Ice Storm Extreme tests as well. 32GB eMMC 5.1 has better performance too. 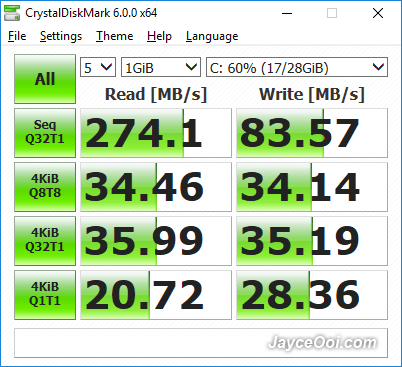 Easily getting 274 MB/s for reading and 83 MB/s for writing on CrystalDiskMark Seq Q32T1 test. USB-A 3.0 and USB-C port performance is excellent as well. Below test was done with Transcend StoreJet ESD220C SSD. 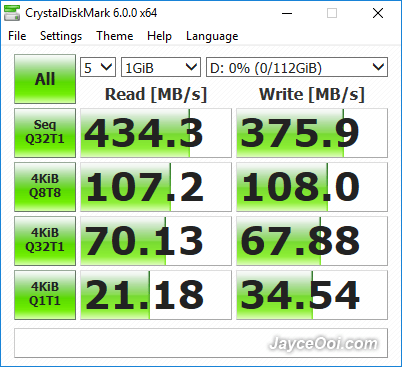 That’s the maximum speed that this SSD can provide. Great work, MINIX. 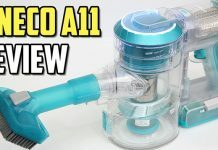 They managed to improve both wireless and LAN connections performance in NEO N42C-4. As you can see, it is getting 946 Mbit/s on LAN test in iPerf3. 239 Mbit/s on 5GHz connection and 74.2 Mbit/s on 2.4GHz. Outstanding performance I must say. 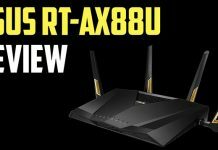 Furthermore, wireless range performance is excellent as well even with built-in antenna. Same apply to Bluetooth range. 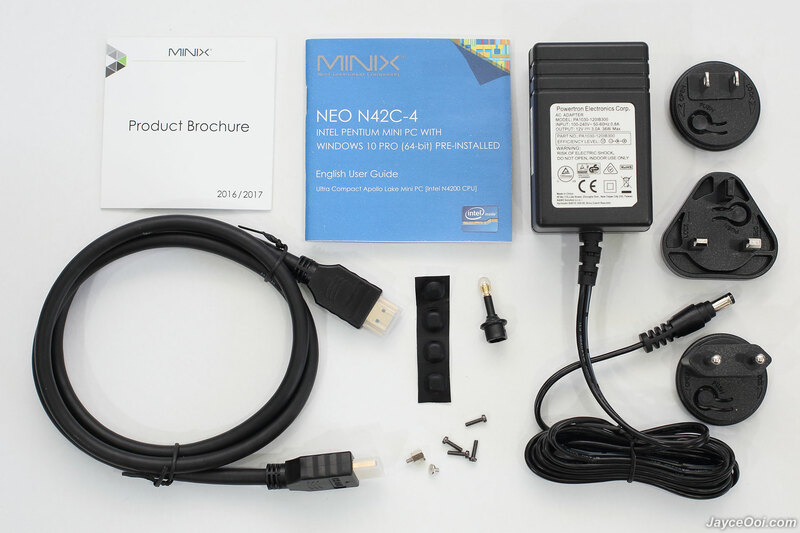 MINIX NEO N42C-4 takes around 25 seconds to boot into Windows. And shutdown is fast too. 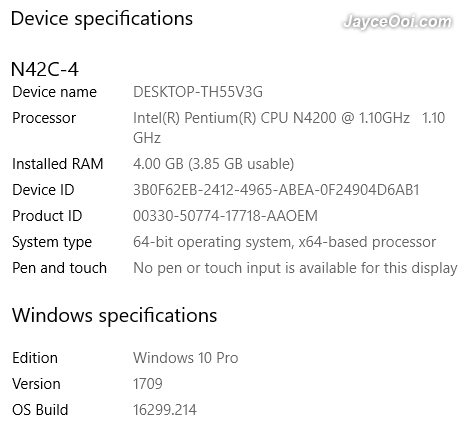 Intel Pentium Processor N4200 is much powerful than Atom X5. Therefore, a fan is added to keep it cool. By default, smart fan speed is set to silent (changeable at BIOS). All my benchmarks were run at this settings too. In this setting, you won’t hear any fan noise at all – just like fanless mini PC. And remains cool even on 100% loaded. Just check out the CPU stress testing with Prime95 below which basically used up all 100% of 4 cores. Result after 1 hour of running Prime95. MINIX manages to control CPU temperature at around 60°C. 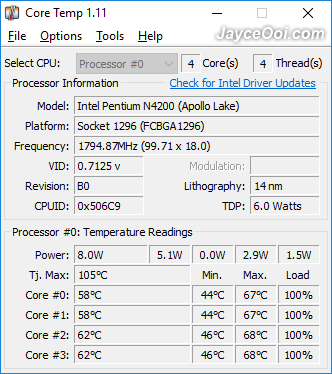 5°C lower when on normal fan speed setting. And 10°C lower on performance mode. 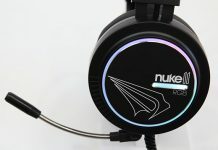 As for noise, you can hear slightly fan spinning sound at totally quiet environment on normal mode. Loud noise on performance one. NEO N42C-4 performs well as Multi-Purpose PC for both home and office. Ideal for industrial and commercial applications like digital signage, POS and thin client solution. Windows 10 Pro edition helps too. Pre-installed 4GB of RAM and 32GB of internal storage are more than enough for daily office tasks and multi-tasking. Perform smoothly on multiple tabs in Microsoft Edge browser with 4K YouTube video being playback. Light photo editing in Adobe Photoshop is possible. Same apply to simple video editing too. But don’t expect desktop PC kind of performance. Triple display outputs is a big plus for those needed. 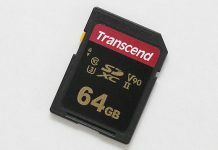 Same apply to expandable RAM and storage. Multi-tasking comes in handle with those upgradable. Added flexibility to meet all of your requirements. Besides being a Windows machine for office / industrial usage, NEO N42C-4 performs well as home theater PC (HTPC) too. You can enjoy 4K Ultra HD 3840 x 2160 H265 60fps smoothly with Kodi media player. 10Bit HEVC, VP9 video formats are supported. But do take note that HDMI output supports up to 4K 30p only. Jellyfish video at 140 Mbps 3840×2160 HEVC is playable smoothly. However, can’t do so on 400 Mbps one. Anyway, 140 Mbps is more than enough for most of the 4K contents in the market. 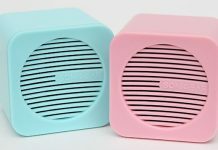 Can NEO N42C-4 being used as a gaming console? Yes, of course. You can play lot of casual 3D games in Microsoft Store smoothly. As for desktop PC title games, they are still playable on normal / lower graphics settings on Intel HD Graphics 505 GPU. Just add a gamepad, NEO N42C-4 will turn into a gaming console in your living room. Then use games streaming application like Moonlight (NVIDIA GameStream) to play PC games on bigger TV screen. 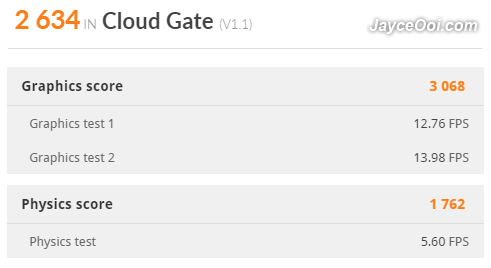 It has virtually no latency at all and that’s great! 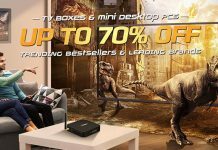 MINIX NEO N42C-4 is a great multi-purpose mini PC especially for thin client usage. Great overall performer no doubt. Windows 10 Pro included with triple display outputs. 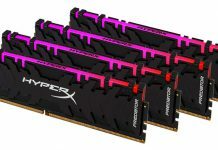 Expandable RAM and storage for future upgrade. 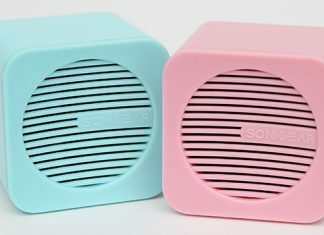 Suitable for office, commercial and home usage. Interested? 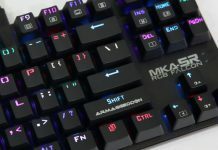 Buy yours at GearBest or Amazon.